​Yoga is a 5,000 year old East Indian study which teaches us how to prepare our bodies for meditation. It was never started simply for the act of “exercise”, although it did end up becoming a physical manipulation of the body in order to relax and focus the mind. Yoga is definitely practiced much differently in the West than it is in the East. Most of the derivations of yoga in the West, such as, Bikram Yoga and Power Yoga are mostly designed for the more “passive” Westerners (me included). Since we have more sedentary lifestyles in the West (we drive everywhere and don’t walk much); we have a real need to move our bodies in such a way that induces a lot of sweat. Yoga is one of the only forms of “exercise” that “exercises” our internal organs! It is an amazing system that keeps our stomach, spinal cord, large intestine, and all of our organs in “good shape”. For example, twists “wring out” our liver toxins. Our senses keep us “linked” to this world very well. Our senses are amazing inlets of energy into our body that keep us distracted enough so that meditation becomes next to impossible in our hurried world. It is said that prayer is talking to Our Higher Being, or Source (God); and mediation, and silence, is listening to the response. Mostly all of our senses are located in our head and processed through our brain (your mind); consequently, it is your mind that is more in danger of getting “out of shape” than your body. If our state of mind is not observed, or let to go “out of control”, the body will always follow. Yoga asanas (poses) are not just arbitrarily named or thought up of (at least not classic asanas); they have a purpose. For example, a pose like Warrior 2 (Virabhadrasana) not only has physical benefits, but mental and behavioral ones as well. When you sustain that particular pose, not only do your legs get stronger, but, more importantly, you gain stamina, perseverance, and courage - like a warrior. In adverse situations, you’ll notice that you’ll endure more difficulties than ever before with more grace; simply by having practiced this pose. You’ll practice on the mat the coping mechanisms you’ll need to employ during “real life”. ​Another example is the Tree Pose. It is a metaphor for “grounding”. A tree balances its foliage and leaves on one trunk because it is firmly rooted in the ground. You’ll notice you’ll have more “balance” and “grounding” during your daily tribulations. Yoga has at least 900 variations of poses with approximately 66 basic poses. 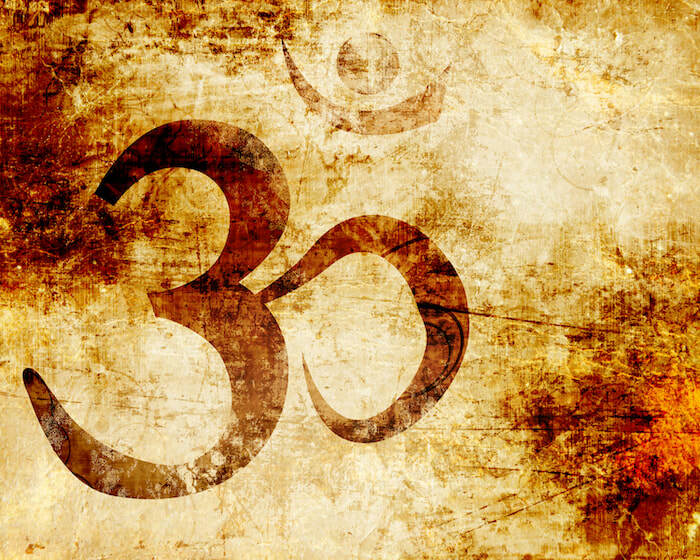 Yoga’s etymology is “yug” or “yoke” which translates to “union”. Yoga therefore is the union of the mind, body, and soul. In the Sankhya philosophy exists the knowing of the separation of mind (manas), body, and Soul (Atma). Even in Western philosophy, we have heard of the saying, “I think, therefore I am.” It is easy to acknowledge that there is a separation between our thoughts and that which observes our thoughts. In other words, somehow we know that we are thinking a thought. The observer is said to be our Soul (the Sun in Vedic Astrology), observing our mind (the Moon in Vedic Astrology). ​​In yoga, the breath (pranayama) is the “link” between our mind and our body. Prana means “life force/energy” and yam means “to extend”; thus, pranayama extends our life. In addition, pranayama balances two energies in our body (the masculine and feminine energy). Like I said before, the ultimate goal of practicing yoga is to be able to relax our body in order to be able to meditate. Meditation is the “link” between our mind, body, and Soul. Meditation is not for the “faint of heart”. It requires absolute relaxation, discipline, and ultimate surrender.